She feels like a modern mash-up of Scarlett and Elizabeth. 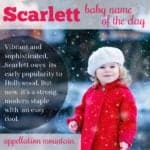 Thanks to Shelby for suggesting Escarleth as our Baby Name of the Day. I’m fascinated by Escarleth. 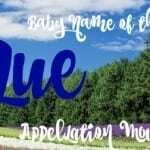 According to most reputable baby name websites, she simply doesn’t exist. But she and Escarlet are both there, at the bottom of the US statistics. She’s in use, no doubt, especially in the Spanish-speaking world. Could she be a foreign spin on Scarlett, from an obscure language? There seemed to be a cluster of young Escarleths in Honduras, so I went looking for evidence that the name was tied to Nahuatl. Turns out I was way over thinking it. As Sebastiane and L pointed out, words that start with the letter S in English often taken an E in Spanish. Think of Stephen and Esteban, or Stephanie and Estefanía. 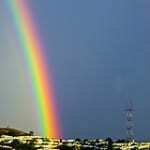 Scarlet, the color, becomes escarlata in Spanish. Red was the most common shade of scarlet, and eventually the fabric and the color became interchangeable. But Spanish speakers aren’t naming their daughters Escarlata. Instead of a literal translation, they’re adapting the popular English name to suit their native tongue. It’s an interesting phenomenon. 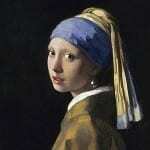 It is a time-tested process, the kind of assimilation that gives us Elizabeth and Isabella. The best example I could find of the latter is this YouTube video – apparently, Yasuri Yamileth is a persona of a Panamanian radio host called Katherine Severino. This piqued my curiosity – was Yamileth the equivalent of, say, Jordynn? Did that make Escarleth the rough equivalent of Jezelle? Lizeth seemed to be free of any negative associations, but was she closer to Eliza or Betsy? After watching oodles of YouTube videos, I’ve concluded that Escarleth is almost certainly what L and Sebastiane suggested: a Spanish version of the popular color name, with a spelling meant to emphasize the desired pronunciation, not unlike some parents adoption of Alivia instead of Olivia in a bid to get the correct vowel sound. If you’re living in an English-speaking country, Escarleth would likely fare better as Escarlet, or even Escarlette. But I’ll admit that I still love the look of Escarleth, even if I can’t see it without pronouncing the final th. Thanks for the proper pronunication. My adopted daughter’s middle name is Escarleth. This was her birth middle name, she is from Guatemala. I decided to keep her original middle name, but always have pronounced it with a ‘th’! Not sure I can break myself of it. I feel it ties to my name ‘Elizabeth’. Thanks again! I can’t believe I got cited in an awesome name blog!! I love seeing baby names used in Latin America! Thanks for doing this one, Abby! I lived in Mexico for a while and enjoyed all the new (for me) names. Fascinating read! Escarleth is definitely not for me, but beats the pants off the name I came across on the Gerber Baby photo contest. A little girl named Harlett. Yep, I stared at it for a good 30 seconds before my brain would fully process it. There’s a fruteria near my home that advertizes yogurth, and it took me forever to make the th = hard t pronunciation connection. So much for my 4 years of Spanish! I agree that the spelling looks atrocious, but Escarleth pronounced with a Latino accent is beautiful. I don’t like it. It looks an awful lot like escargot. I first read the name as Escargot, so it’s a no-go for me. I’m not a fan of Scarlett. I always thing of the Hawthorne novel first and then a novel I read in College, “Scarlet Plume”, which in this case the Scarlet character is male. HA! Laughing out loud at Escargot! 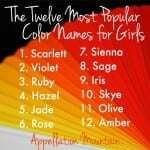 Interesting about Scarlet as a male name. I could see it, except for the whole Southern Belle connection.